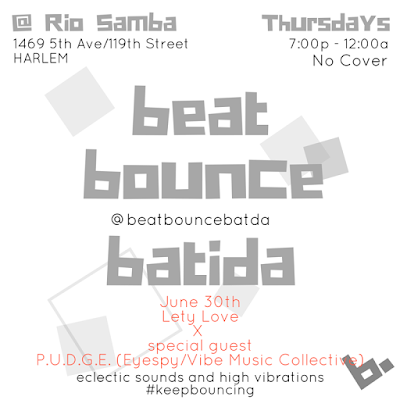 the only place where you can hear an eclectic mix of batida, latin, afro diaspora, brazilian, house and more dance music for your soul, weekly. No cover, just Good Vibe$. + Special Guest DJ: P.U.D.G.E.